Your family will love this easy recipe for Crock-Pot Shepherds Pie filled with ground beef, green beans, corn and topped with lovely cheesy potatoes! 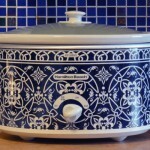 Line a 5 to 6 quart slow cooker with a crock-pot liner or spray with nonstick cooking spray if desired, set aside. In a large skillet set over medium-high heat brown the hamburger and onions together until the hamburger is cooked through and crumbled. Drain off the cooking fat. Add cooked hamburger, vegetables and canned soup to the prepared crock-pot and mix together. Place mashed potatoes on top of meat mixture and spread it around with with a spatula or the back of a spoon. Sprinkle mashed potato layer with cheese. Remove the lid from the slow cooker during the last 30 minutes of cooking to allow the moisture around the edges to cook off (optional). I have never made shepherds pie in the crockpot. I am loving everything about this recipe. I hope you love it! We enjoyed it! Hi, when you say mashed potatoes does this mean airway prepared mashed potatoes? Can I use mashed cauliflower instead of mashed potatoes? 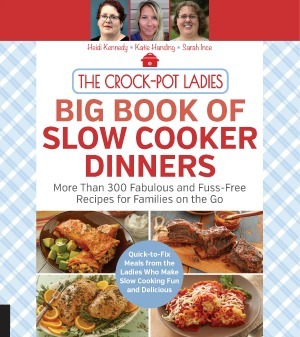 What size crockpot should I use and how many does one recipe feed? Hey Diana, we have edited the recipe to better answer your questions regarding this recipe for shepherd’s pie made in the slow cooker. This recipe serves 6 and should be cooked in a 5 to 6 quart crock-pot. I hope that helps and I am sorry that information was not included in the original recipe. for the mashed potatoes do you prepare them with milk and butter or just mash them? I would make the mashed potatoes how you serve your family. If you are making them from flakes, do them as the package suggests. If you are making them from scratch, do them how you typically do them. Odds are some kind of milk, butter, cream, ect will be helpful for from scratch potatoes to soften them up. someone else asked about cauliflower instead of mashed potatoes. That should work as well, just that’s a whole lot of cauliflower! What other kind of meat could I use, my son is allergic to beef? Kinda bland. Not a fan of cream of celery. Is it 6 cups flakes of mashed potatoes or 6 cups already prepared? I have some in the crock pot for tonight for dinner, I am using Venison 😀 YUMMY! I can’t wait to try it. Sounds fantastic Erin! Be sure to let us know how it tasted using venison! Hi Joan, I have gone ahead and added the nutritional information for this recipe for you.